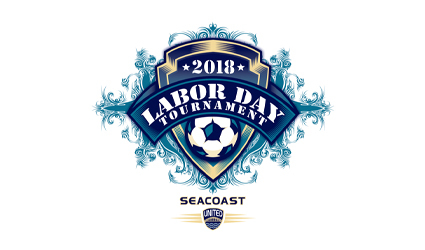 The Seacoast United Labor Day Tournament is designed for U9 through U15 boys and girls teams of all ability levels. The event will offer U9 & U10 (7v7), U11 & U12 (9v9), and U13 & U14/U15 (11v11). Teams will be placed in appropriate groups and receive 3 games, with U11-U14/U15 divisions hosting playoff games for qualifying teams. This is designed to be a preseason event organized to help teams grow and adjust for the upcoming fall season. Seacoast United is proud to offer such a unique tournament that will give both premier and non-premier players an opportunity to play at a first class facility and test their ability against competition from all over New England. Games will take place September 1st-2nd, 2018. U9 and U10 division games will take place at Amesbury Sports Park in Amesbury, MA. U11-U15 division games will take place at the two Epping locations, but select games may take place at the Amesbury facility depending on scheduling and the need to address coaching conflicts. Registration for the 2018 Labor Day Tournament is now available under the "Event Infrormation" area of the page. Registration deadline: August 21st, 2018. Please help us in following a few rules to keep our Outdoor Complex a clean and save environment for all. Click here to view the rules, and we strongly encourage you to share these with your team.